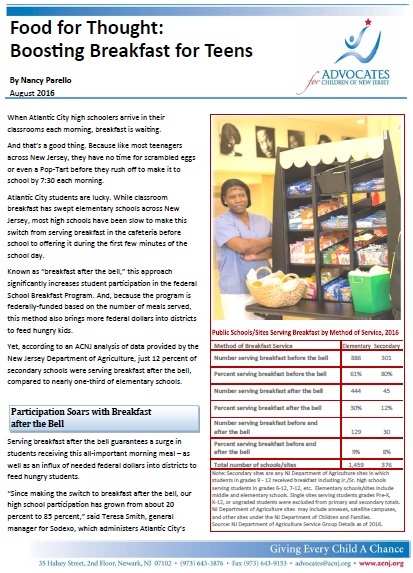 The NJ Food for Thought Campaign has created advocacy tools you can use to educate your school leaders and community about the importance of school breakfast and convince them to implement more effective breakfast programs. Below are links to those tools. The campaign also works with local coalitions to organize meetings and develop advocacy strategies to expand school breakfast participation. For more information or help in forming a local coalition, contact Lisa Pitz at lpitz@cfanj.org.